Maybe you made a New Year’s resolution to eat better in 2019. Or maybe you’re just trying to start the year on the right foot. 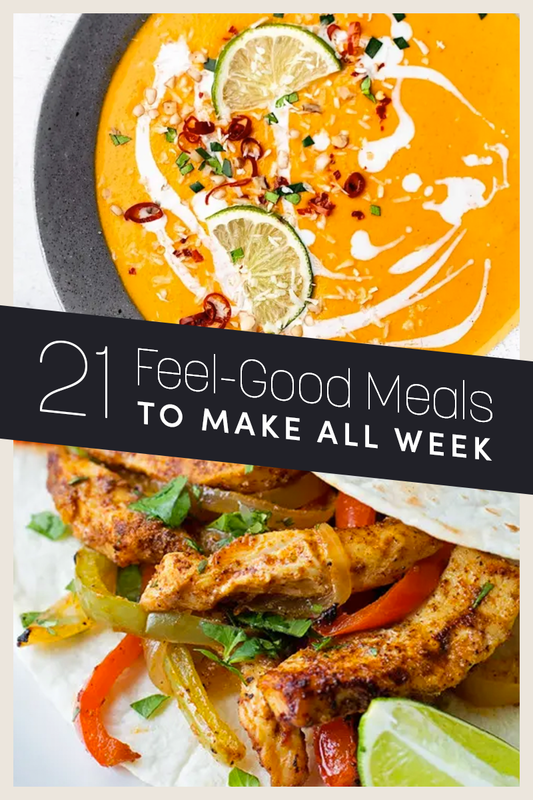 In any case, it can be fun and exciting to cook meals that make you feel good. 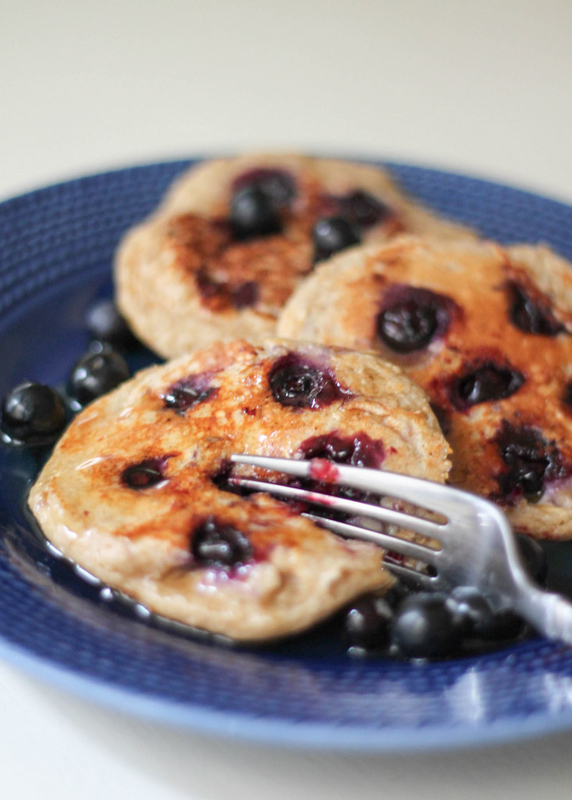 Here’s a week’s worth of breakfast, lunch, and dinner recipes to inspire you. Mondays are tough. 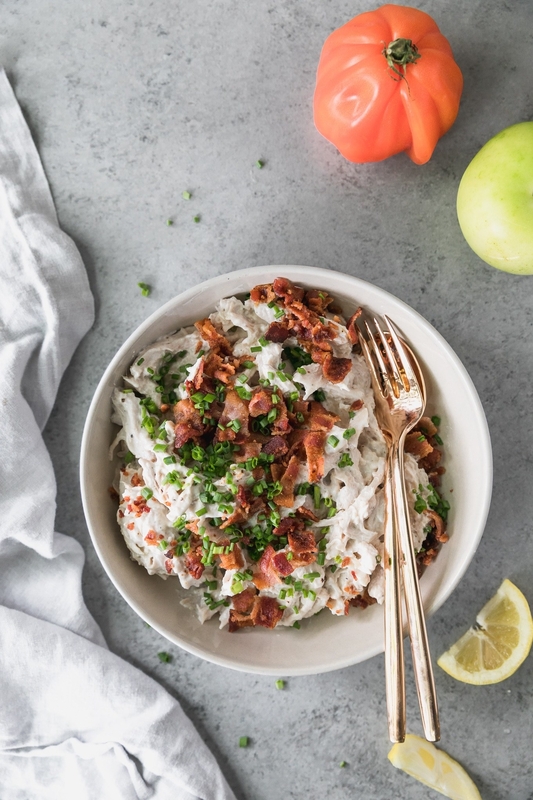 Thanks to overnight oats, you can prepare your breakfast on Sunday night and grab it from the fridge as you’re running out the door. Get the recipe. 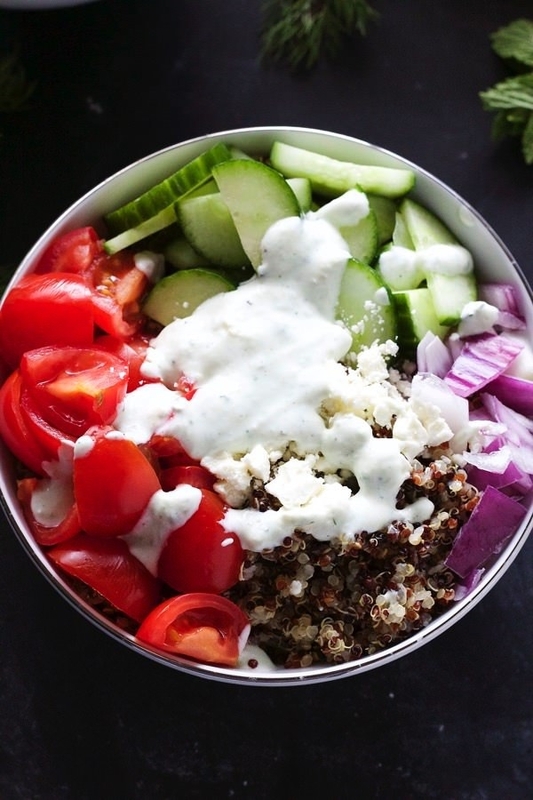 Keep with the meatless Monday vibes and fuel up on a hearty quinoa bowl topped with Greek veggies and homemade yogurt dressing. Get the recipe. 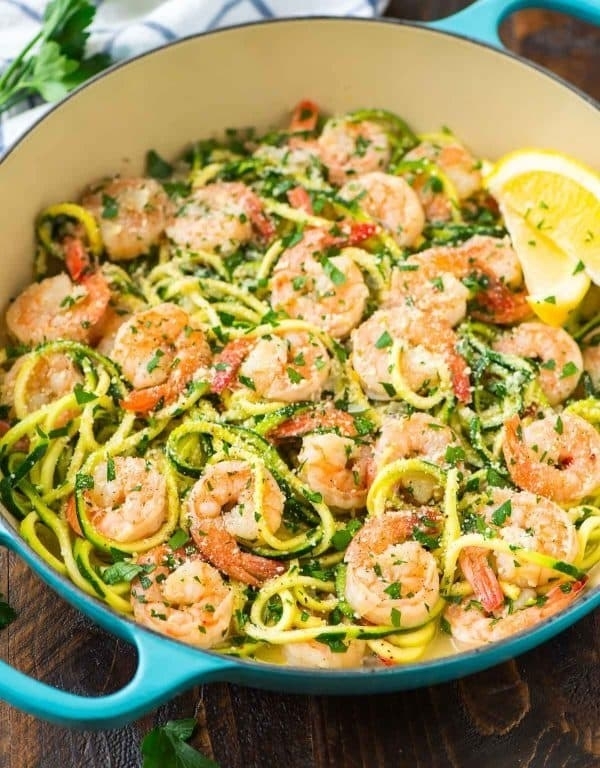 Because cooking is probably the last thing you want to do on a Monday night, this easy sheet pan dinner is a total no-brainer. If you’re not crazy about tomatoes and broccoli, feel free to swap in your favorite veggies. Get the recipe. 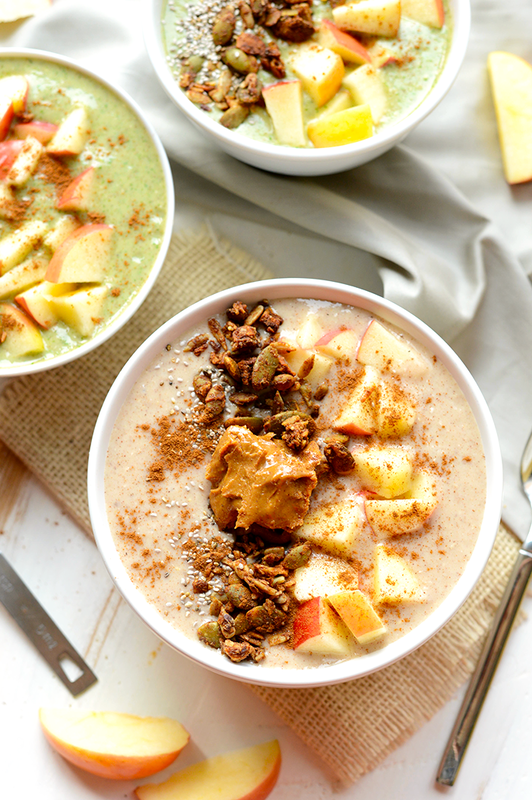 This decadent breakfast is made with plain yogurt, banana, rolled oats, apple sauce, and cinnamon. 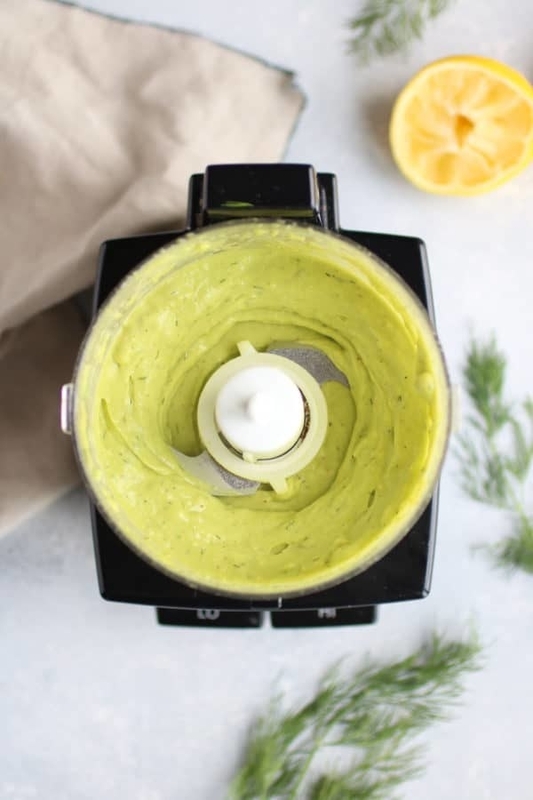 You would never believe something so tasty could also be good for you. Get the recipe. 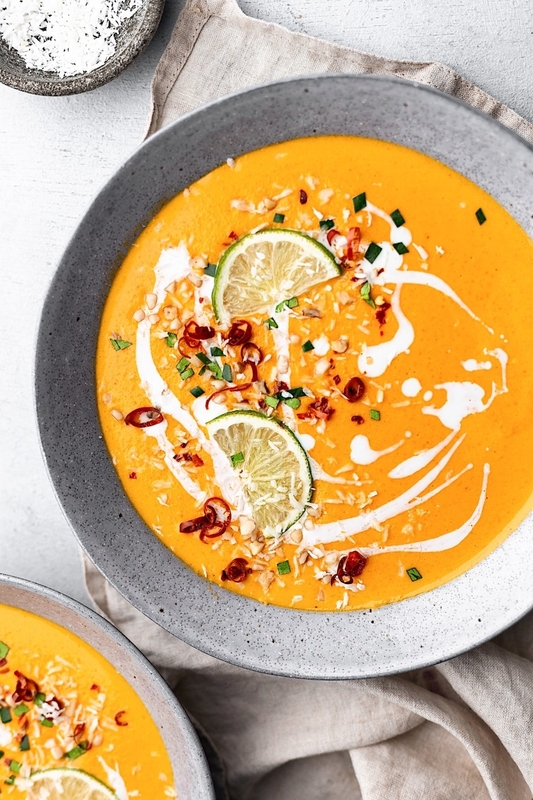 Made with sweet potato, carrot, red curry paste, and coconut milk, this rich and comforting soup is everything you crave on a chilly winter day. Get the recipe. 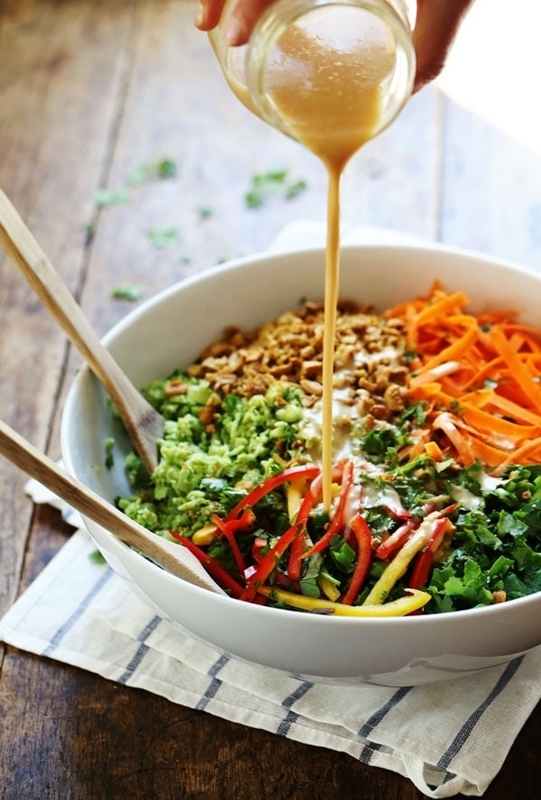 Riced cauliflower and shredded cabbage make a hearty base for these flavorful taco bowls. 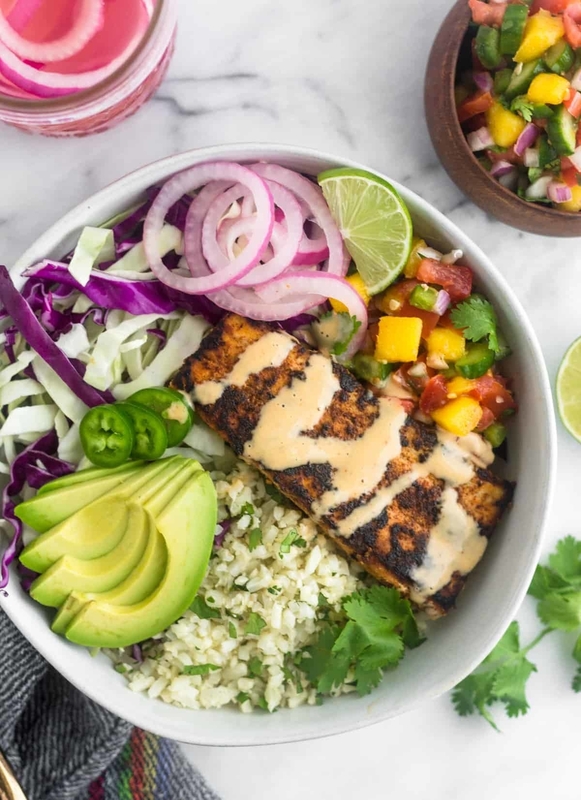 Opt for any flakey white fish and top the bowls with your favorite toppings like avocado and jalapeño. Get the recipe. If you’ve never thought to put pesto in your eggs before, you’re in for a major treat. 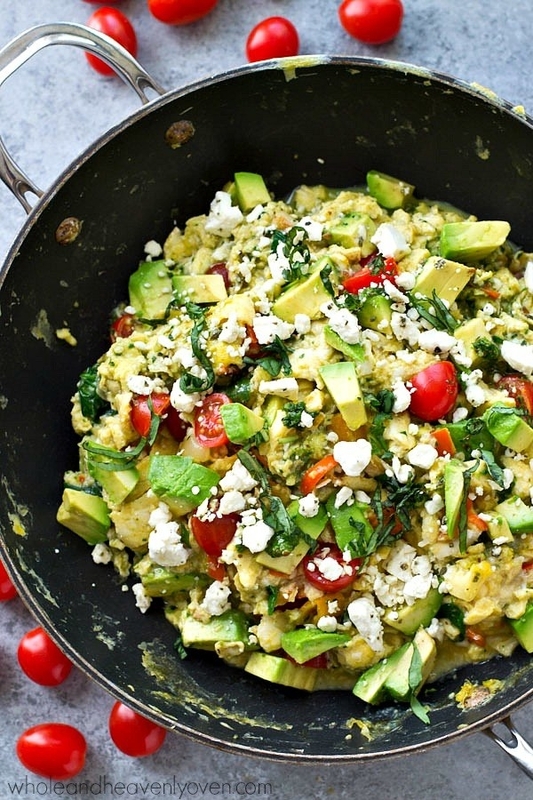 This savory scramble is the perfect way to start the day. Get the recipe. 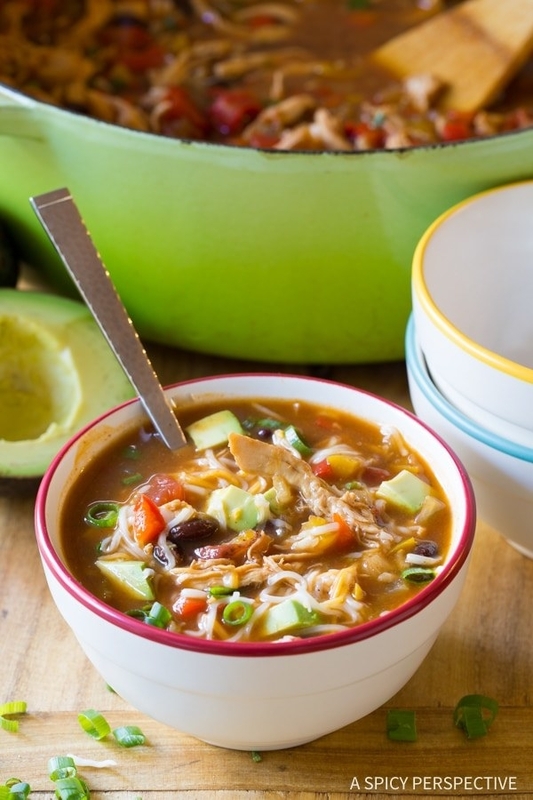 Black beans and brown rice make this soup extra filling. 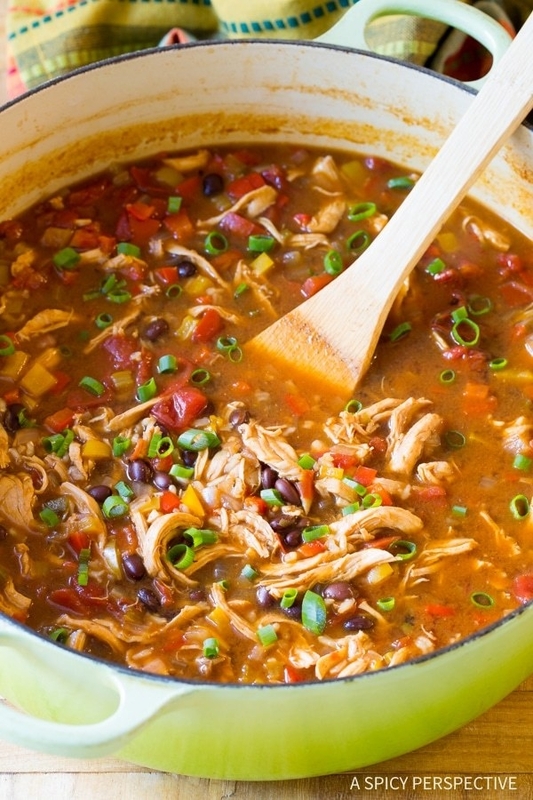 Top it with anything from a dollop of plain yogurt and salsa to diced onion and tortilla strips. Get the recipe. 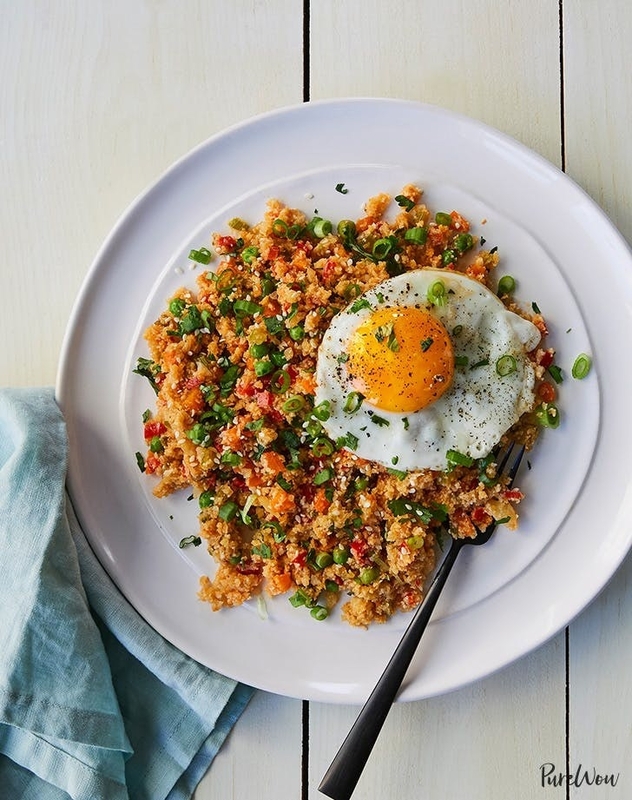 Your favorite Chinese take-out dish gets a low-carb twist with the help of riced cauliflower. Top it with a runny fried egg and dig in. Get the recipe. 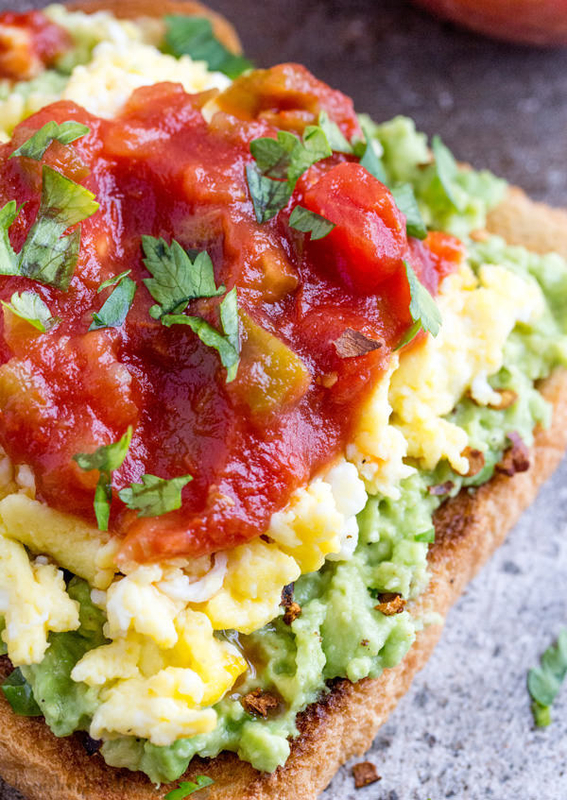 Ordinary avocado toast gets a flavor boost thanks to spicy salsa. 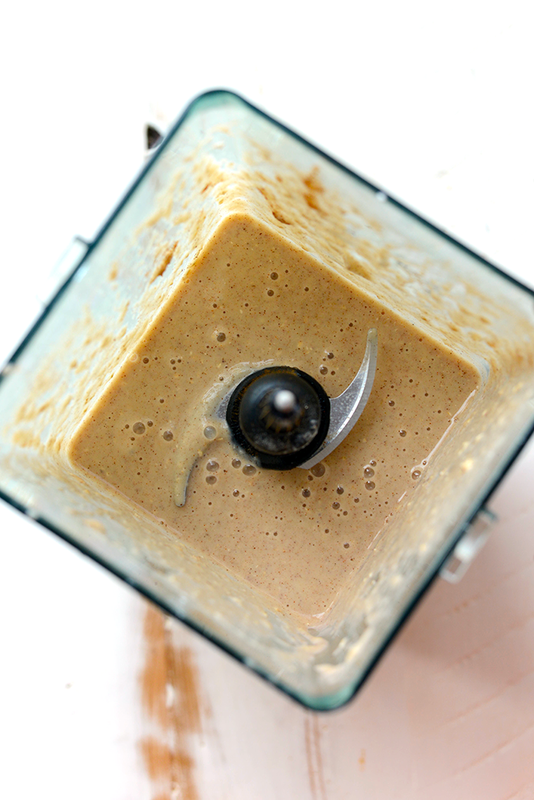 Make it on a whole wheat English muffin or multigrain bread and this breakfast will keep you full well until lunch. Get the recipe. If you need a little extra protein to get you through the day, top this veggie-packed salad with grilled shrimp, chicken, tofu, or chickpeas. Get the recipe. 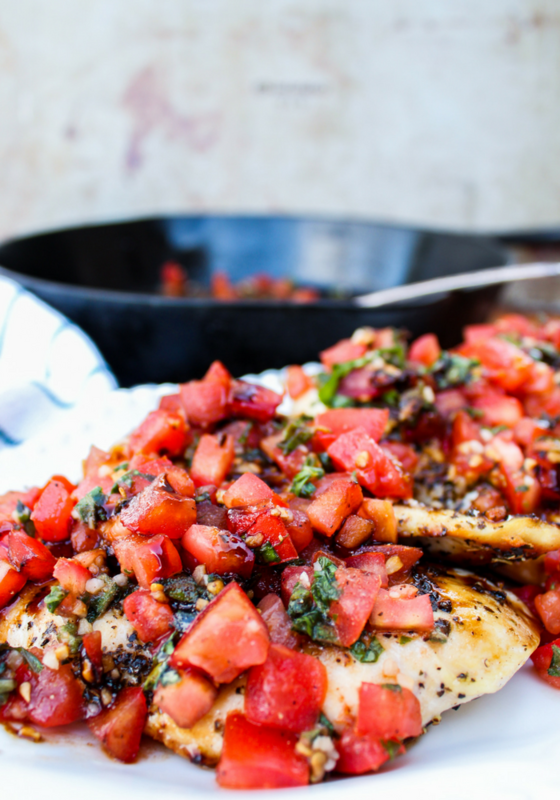 Give grilled chicken a major upgrade with a homemade bruschetta sauce, made with diced tomatoes, basil, garlic, oil, and balsamic. Get the recipe. 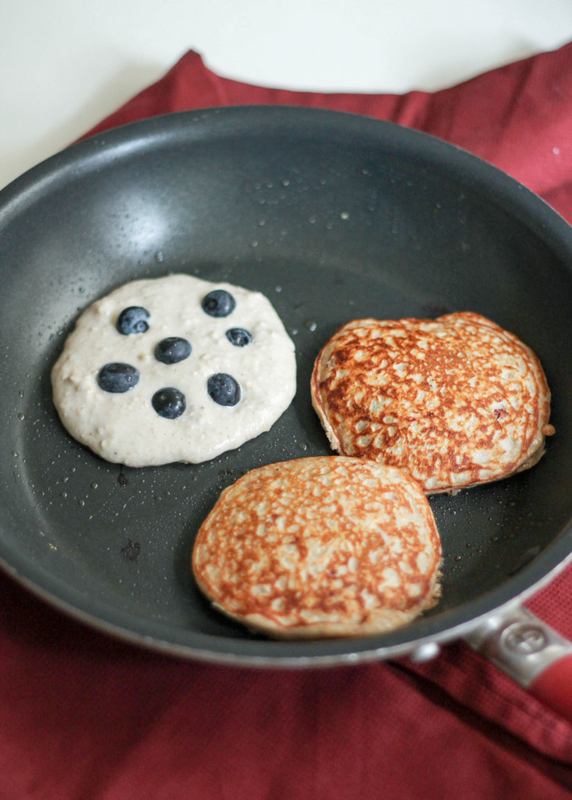 These protein-packed blender pancakes — made with oatmeal, yogurt, banana and egg — are just what you need to elevate your Friday mood. Get the recipe. 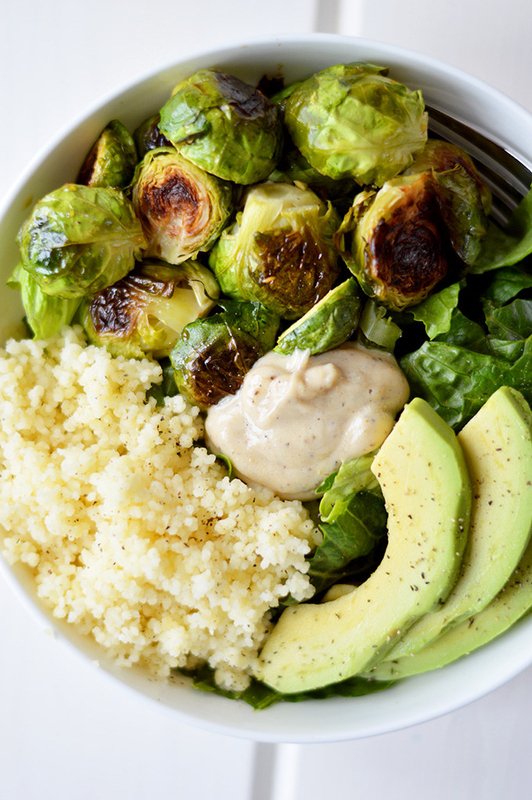 Crispy Brussels sprouts, nutty couscous, and creamy avocado is the perfect salad trifecta. Get the recipe. 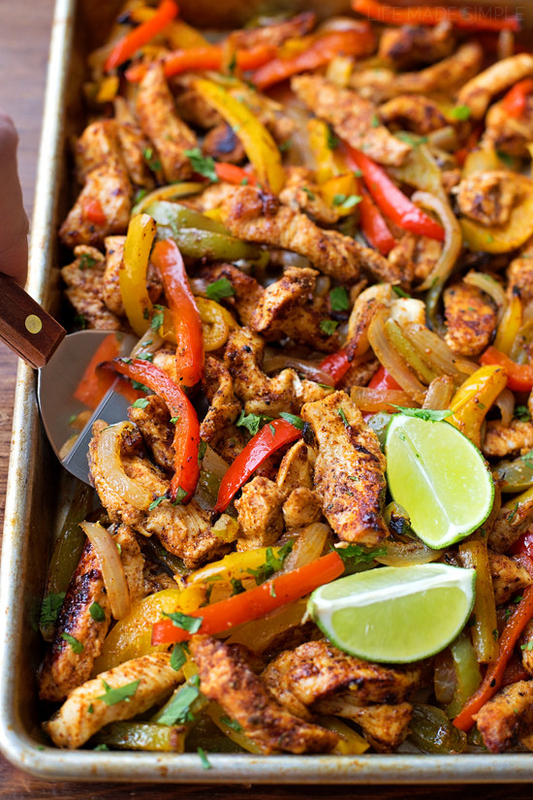 If you’re trying to avoid carbs you can always serve this Mexican chicken on top of cauliflower rice or a salad. Get the recipe. Salad for breakfast? That’s right. 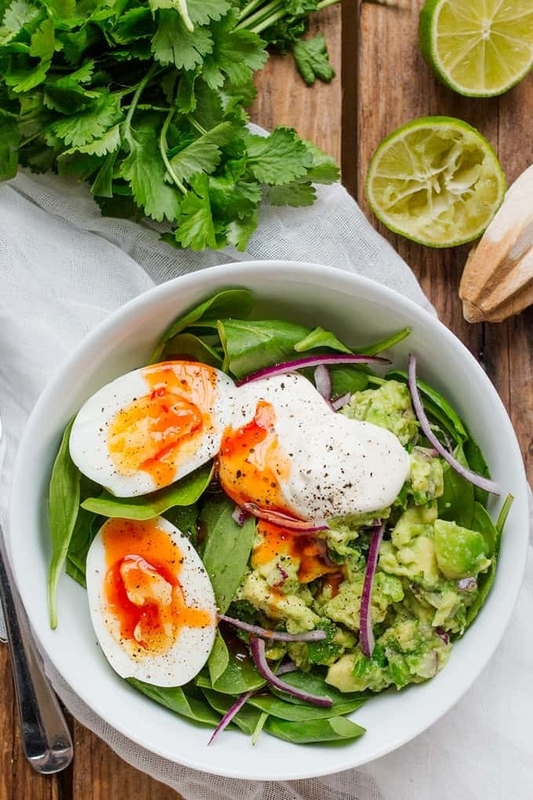 These delicious and filling morning bowls are packed with spinach, tangy guacamole, and eggs cooked however you like them. Get the recipe. 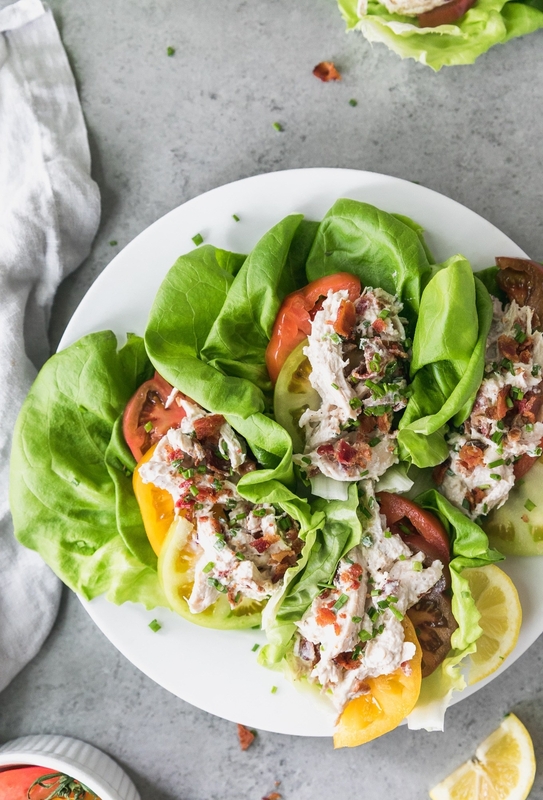 Ordinary chicken salads gets kicked up a notch with bacon and juicy tomatoes. 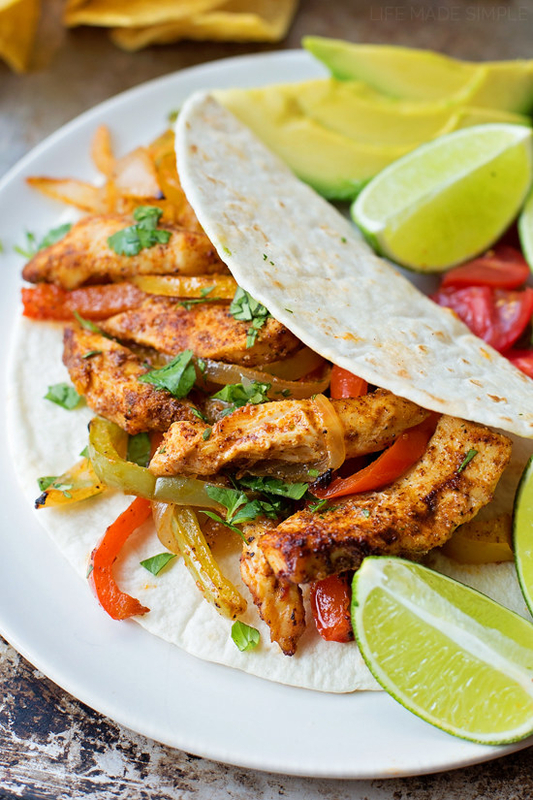 If you want something more substantial, opt for a whole wheat wrap. Get the recipe. 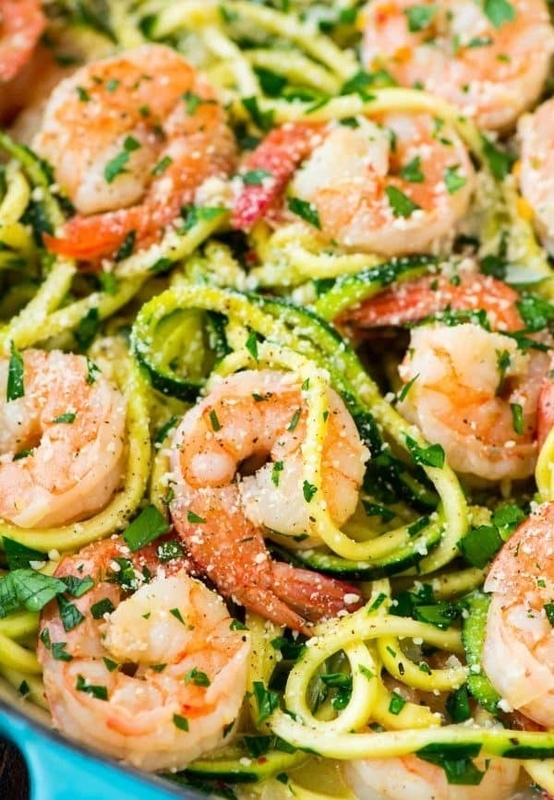 This dinner is everything you love about pasta without all the carbs. Get the recipe. It’s Sunday, baby. Go ahead and sleep in. 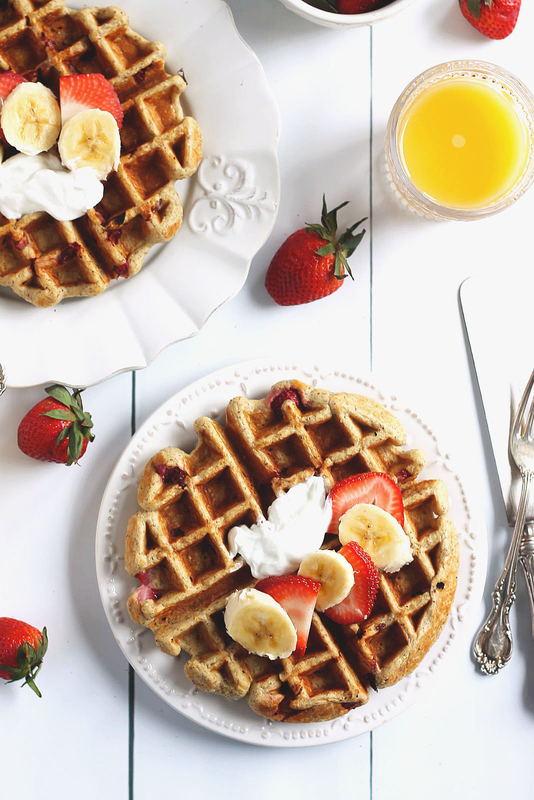 Then treat yourself to waffles made with old fashioned oats, banana, and plain yogurt. 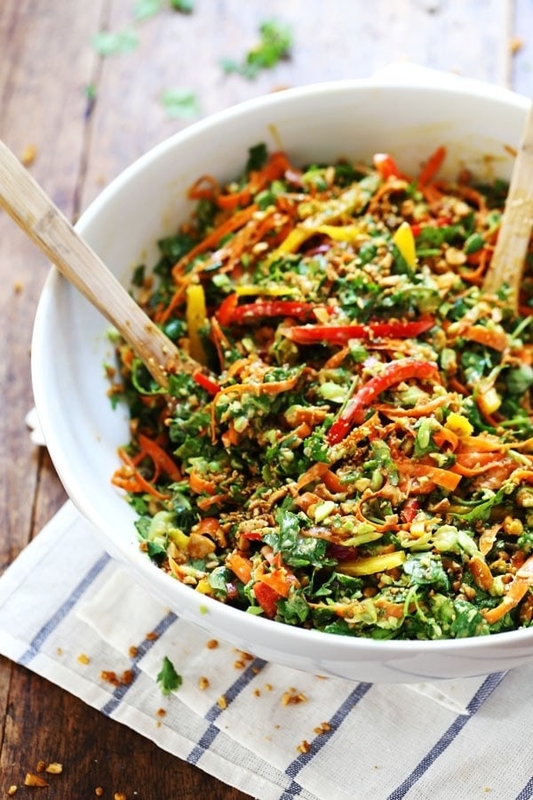 Warm salads are totally underrated, especially when it’s cold outside. 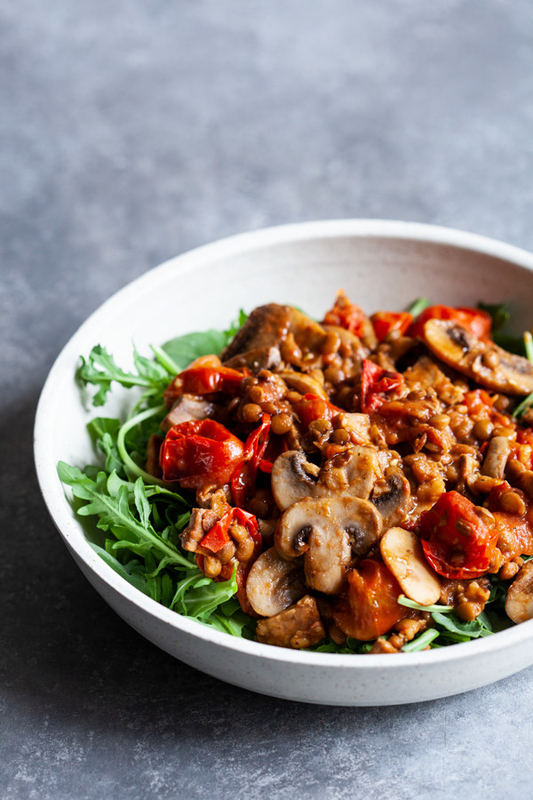 Use a bunch of different mushrooms like cremini, shiitake, and portobello for a seriously satisfying lunch. Get the recipe. No buns? No problem. 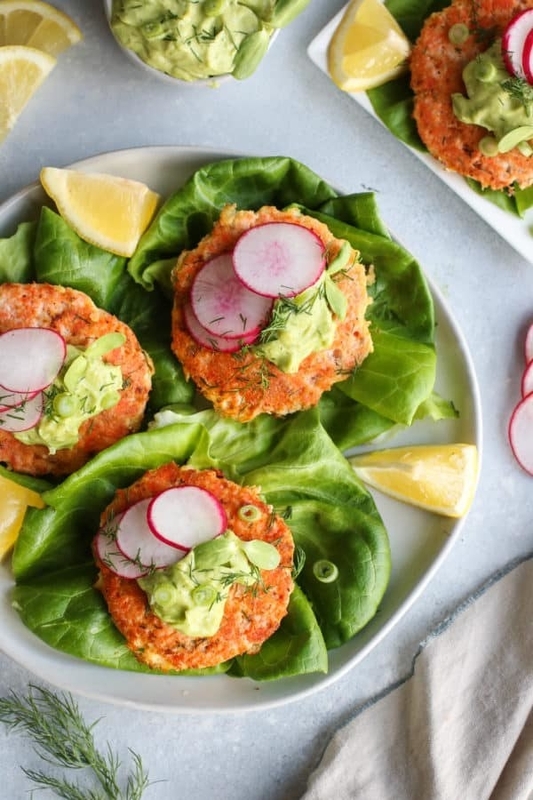 These homemade salmon cakes are crispy on the outside, tender on the inside, and they taste like heaven with the homemade avocado crema. Get the recipe.